HOPE @ CAPS is a diverse group of KU students who are dedicated to reducing mental health stigma and helping other KU students connect to CAPS and other mental health resources. HOPE @ CAPS mental health peer educators are trained to help students better manage daily stressors and connect to campus resources. Together, they provide drop-in listening hours around campus as well as develop and implement outreach events such as tabling and presentations. HOPE @ CAPS seeks to provide services that engage and educate the members of the University of Kansas. By providing peer listening, outreach, and general support for CAPS, we hope to help students live healthier lives, both on campus and beyond. HOPE @ CAPS envisions a future in which the University of Kansas can serve as an example for excellence in mental health education and awareness that other colleges and universities can model themselves after. Drop-in Peer Listening hours are provided Monday through Friday for students who need a listening ear, a break or tips and tricks to deal with daily stressors, or some assistance connecting to CAPS or other campus resources. 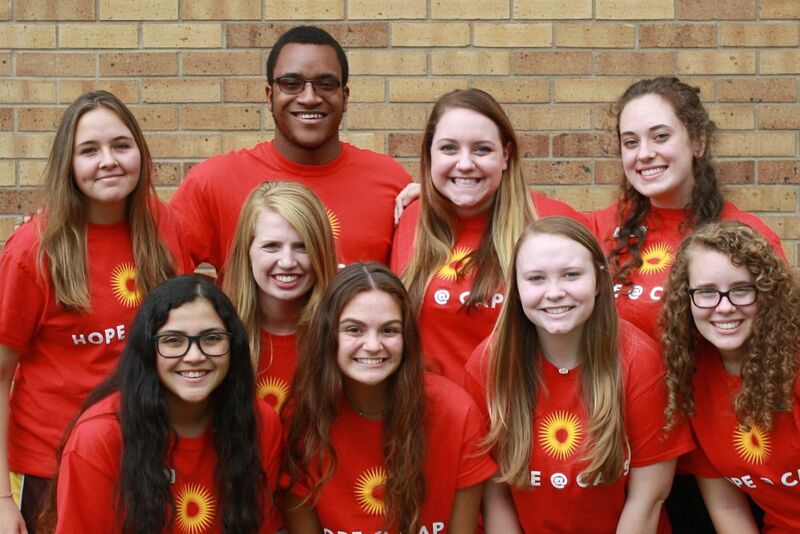 HOPE @ CAPS mental health peer educators are trained to conduct outreach events across campus. Whether it's tabling on Wescoe Beach or presentations about CAPS resources or stress management, HOPE @ CAPS is engaged in outreach events nearly all weeks of the school year. To request outreach services from HOPE @ CAPS or CAPS as a whole, fill out the outreach request form.